Rotary International is a network of over 34,000 Rotary Clubs in over 200 countries and territories around the world. Rotary's moto is "Service Above Self." Membership is open to people of all cultures and ethnicities. We are not affiliated with any political or religious organizations. The basic premise of Rotary is to provide community service on a local and international level while having fun. 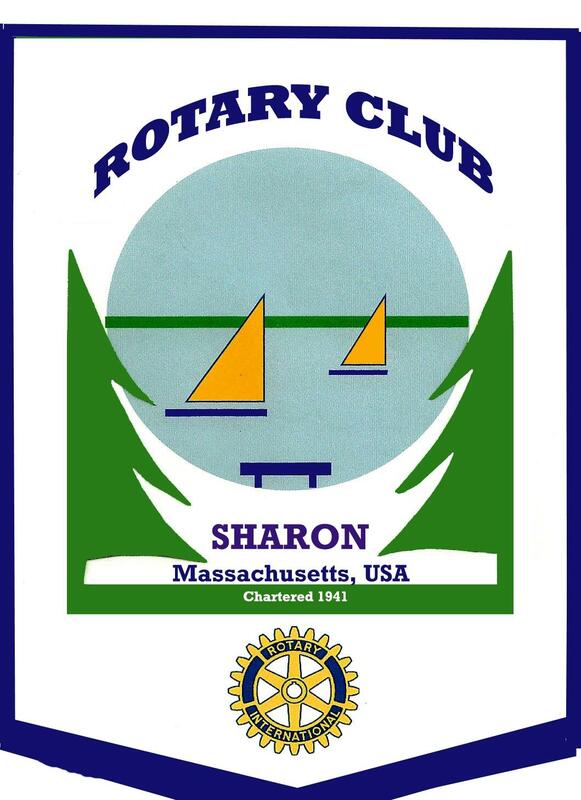 Our Club is located in Sharon, Massachusetts, USA, and was chartered in 1941. We currently have 50 members, made up mainly people who live or work in or near Sharon. We also have an active Interact Club at the High School. -Our Gifts of Hope program provides assistance to those in need in our community during the holidays and throughout the year. -We serve Thanksgiving dinner to seniors. -We have facilitated communication between Sharon Middle School children and the children at the Zabuli Center over the internet. -We support ShelterBox USA disaster relief efforts worldwide. -We raise funds for the Rotary Foundation in its fight to end polio around the globe. -We support the Rotary Foundation's many other programs. We meet weekly. Our meeting location and schedule appears on our Home page.